Observer Management Server (OMS) was developed to meet the demanding needs of IT teams that have deployed Observer. The streamlined UI features simple navigation to easily authenticate, control user access and passwords, administer upgrades, and streamline management from a single, centralized location. Ideal for today's stringent compliance directives, OMS manages an extensive menu of essential Observer monitoring tasks and enables their delegation based on IT roles and responsibilities. Enterprise-wide authentication, authorization, and auditing (AAA) has never been easier. OMS is the key to securing your Observer environment. What can you do more efficiently with OMS? A more comprehensive tool than any other product – all for a very sensible cost. 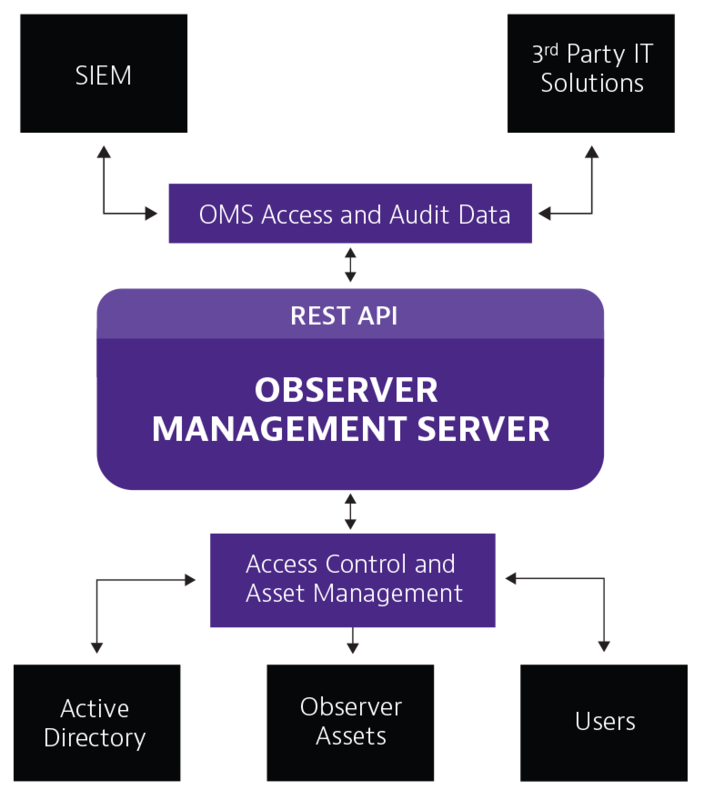 Observer Management Server (OMS) provides role-based permissions to control user access of Observer assets via an internally managed list or using third-party integration with technologies like RADIUS, Active Directory, and TACACS+. Once assets are accessed, it monitors, audits, and records user credentials along with activity history ensuring only legitimate use and regulatory compliance. 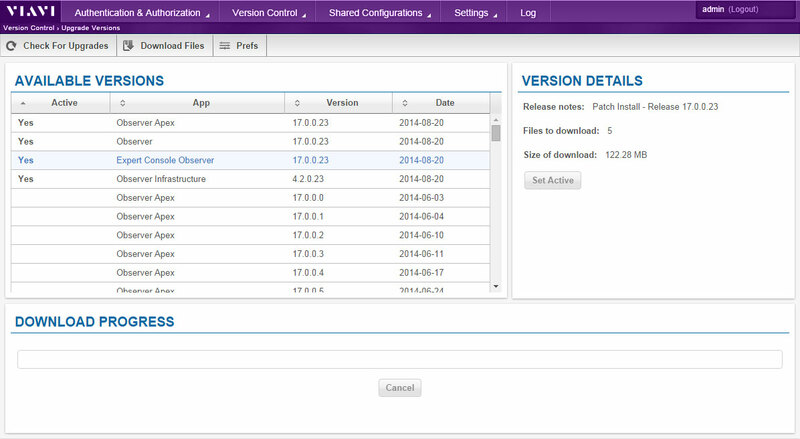 OMS version control simplifies upgrades and downgrades for all Observer assets. New software releases or license refreshes can be controlled and rolled out from a centralized point with total supervisory visibility, automatically or via a defined scheduling process with no disruption to monitoring capabilities. The OMS RESTful API enables the integration of third-party solution workflows like Manager of Manager and SIEMs making the sharing of OMS access and audit information simple. Optional redundant OMS appliances increase performance monitoring robustness, ensuring if connectivity between Observer assets is interrupted an alternate path remains to maintain visibility. Sharing common analysis filters and protocol definitions standardizes the monitoring process and achieves consistency across IT teams with the added benefit of eliminating the need to manually replicate efforts across the environment. The OMS integrated, multi-vendor support for centralized hardware security modules (HSMs) effectively manages SSL keys for decryption to perform monitoring analysis without compromising compliance initiatives. The new OMS UI now delivers a single, unified interface across all Observer components for simplified navigation, improved dashboard creation, and an intuitive look and feel. Check for and download all Observer Platform updates and version releases quickly and easily from within the OMS interface. Enhanced version control management within OMS allows engineers to automatically and selectively apply and remove versions across all their Observer assets. Schedule update downloads and installations to occur at the most optimal times for your network. Improved version control management across all your Observer solutions saves significant administrative time, ensures version consistency with all assets, and allows you to access all new features and functions as they become available. 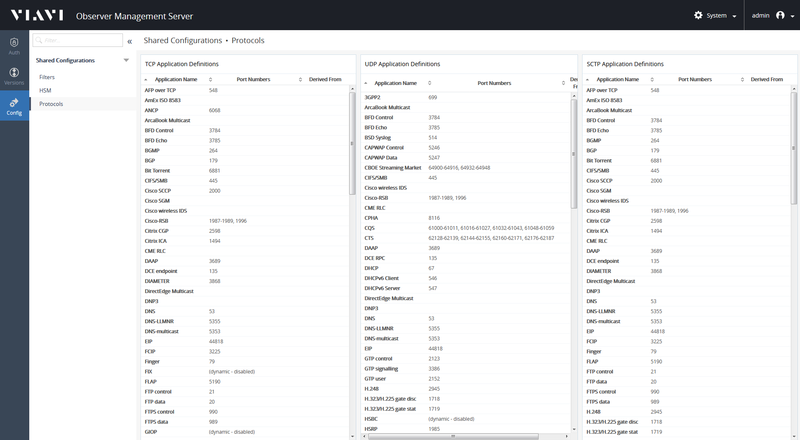 Exporting event and audit logs via syslog, SNMP, and email with tiered severity are all enhanced functionalities with this release. Audit trails provide information on who is using the solution and how it is being used. 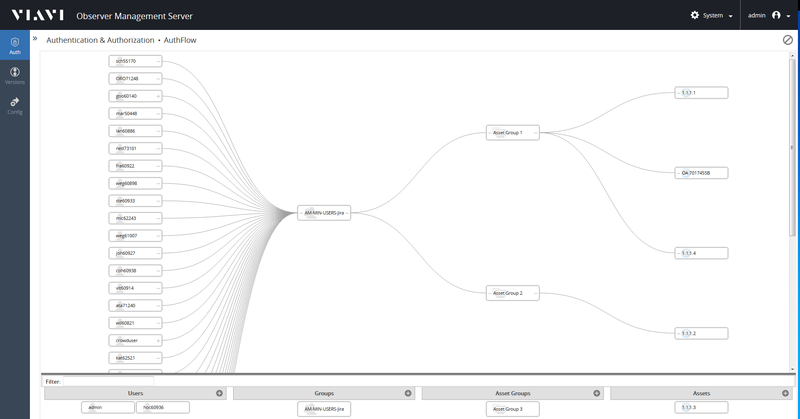 Zoom in on Observer GigaStor data extractions to see who accessed data and when. Observer Management Server (OMS) enhances Observer deployments with centralized authentication, authorization, and auditing (AAA). It simplifies asset version control and the upgrade process, while also offering a repository for analysis filters and protocol definitions. Observer Management Server (OMS) is a vital component of Observer, greatly simplifying deployment and ongoing management of the solution assets. Deploy OMS as a virtual appliance, using system and configuration recommendations located here. Observer Management Server (OMS) is offered as a virtual software appliance only. For more information on minimum, recommended, and optimal system requirements please review information at the following link.